We are leading manufacturer of Car Dashboard Ganesha. We are offering a premium quality array of Car Dashboard Ganesha. This Ganesha is exclusively used for worshiping and praying. 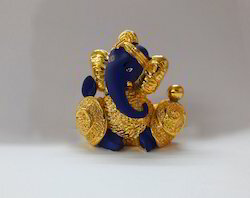 The offered Ganesha is built using optimum quality metal, which passed through a different process to form Ganesha. True color and reliability attract devotees who prefer worshiping and praying. 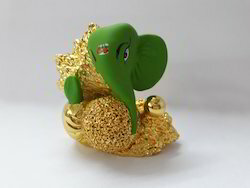 We are the prominent organization of this domain engaged in offering a wide spectrum of Car Dashboard Green Painted Ganesha. The offered sagn is fabricated by our expert professionals who use premium grade raw metal and optimum technology with the aid of avant-garde techniques. This sagn is highly preferred in home for destroying negative energies staying or surrounding car. Devotees also find the sagn offering high durability and unfading life due to quality fabrication. Besides this, clients can get the sagn from us at industry leading rates. We are offering Car Dashboard Ganesha to our clients. We are using finest quality culture marble powder to make a mould of an Idol. After that, idol is coated with copper & nickel & then is coated with 24 kt gold & fine silver. 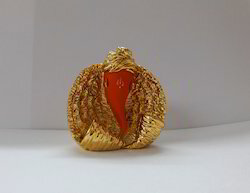 At the final stage, we use imported German Lacquer for protecting gold & silver coating on idol for a number of years. We are the prominent organization of this domain engaged in offering a wide spectrum of Car Dashboard Peach Color Ganesha. Besides this, clients can get the sagn from us at industry leading rates. We are offering a premium quality array of Car Dashboard Terracotta Ganesha. This Ganesha is exclusively used for worshiping and praying. 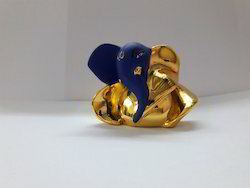 The offered Ganesha is built using optimum quality metal, which passed through a different process to form Ganesha. True color and reliability attract devotees who prefer worshiping and praying. We are offering premium quality array of Car Dashboard Blue Color Ganesha. This Ganesha is exclusively used for worshiping and praying. 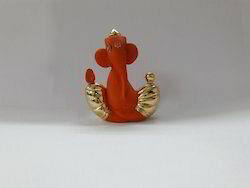 As a trust worthy organization of this domain, we are committed to offer our clients a superior quality assortment of Car Dashboard Ganesha Idol. This sagn is manufactured following the true devotional spirit and quality standards. Such devoted fabrication makes the sagn highly attractive and antique. Appreciated by numerous devotees due to quality fabrication; our professional develop the sagn applying the modern designing technique and refined gold, silver or quality stone. The offered sagn is availed at nominal prices by the clients. As an affluent name of this domain, we hold expertise in presenting high-quality Car Dashboard Ganesha Maroon Sagn. 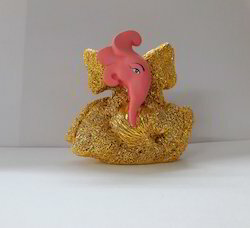 This sagn is worshipped at home for bring prosperity and happiness to home. With the use of pristine quality gold, silver, brass or quality stone, the offered sagn is formed. Furthermore, the sagn is crafted using digital technology and innovative techniques. Provided sagn is fabricated under the supervision of skilled professionals in the production unit. The offered sagn is designed using precision engineering. We are the prominent organization of this domain engaged in offering a wide spectrum of Car Dashboard Ganesha Sagn. The offered sagn is fabricated by our expert professionals who use premium grade raw metal and optimum technology with the aid of avant-garde techniques. This sagn is highly preferred in home for destroying negative energies staying or surrounding car. Devotees also find the sagn offering high durability and unfading life due to quality fabrication. Besides this, clients can get the sagn from us at industry leading rates. 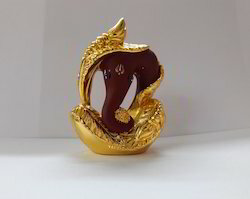 We are offering a premium quality array of Car Dashboard Gold Plated Ganesha. This Ganesha is exclusively used for worshiping and praying. 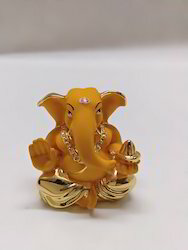 The offered Ganesha is built using optimum quality metal, which passed through a different process to form Ganesha. True color and reliability attract devotees who prefer worshiping and praying. We are the prominent organization of this domain engaged in offering a wide spectrum of Car Dashboard Orange Color Ganesha. 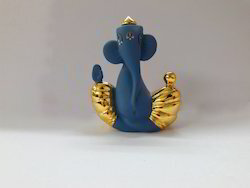 We are the prominent organization of this domain engaged in offering a wide spectrum of Car Dashboard Blue Painted Ganesha. Devotees also find the sagn offering high durability and unfading life due to quality fabrication. Besides this, clients can get the sagn from us at industry leading rates. We are the prominent organization of this domain engaged in offering a wide spectrum of Car Dashboard White Painted Ganesha. We are offering premium quality array of Car Dashboard Ganesha. This Ganesha is exclusively used for worshiping and praying. 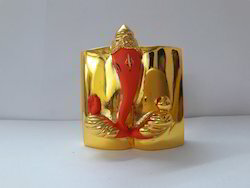 The offered Ganesha is built using optimum quality metal, which passed through different process to form Ganesha. True color and reliability attracts devotees who prefer worshiping and praying. We are offering a premium quality array of Car Dashboard Gold Statue. This Ganesha is exclusively used for worshiping and praying. 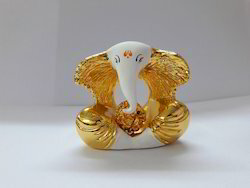 The offered Ganesha is built using optimum quality metal, which passed through a different process to form Ganesha. True color and reliability attract devotees who prefer worshiping and praying. Since our inception, we are engaged in presenting a wide range of excellent quality Car Dashboard Terracotta Gold Plating Ganesha. 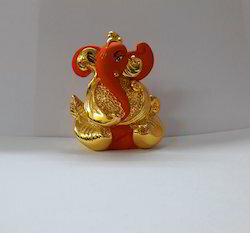 This Ganesha is designed and developed using 100% pure metal. The provided Ganesha is developed adhering to the norms to respect religion and sentiments. There are several benefits conquered by using the Ganesha. After sanctified using mantras or panchakshar mantra, the Ganesha obtains the electromagnetic properties in controlling stress, blood pressure, improves blood flow and circulation.